Business leadership, managing skills, leadership training plan concept.Website interface UI template. Landing web page with infographic concept creative hero header image. Speaker giving a talk in conference hall at business event. Audience at the conference hall. Business and Entrepreneurship concept. Focus on unrecognizable people in audience. 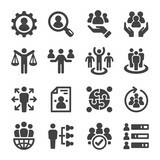 Set Vector Line Icons of Business and Finance. Business growth vector concept with businessman and businesswoman building steps as team. Symbol of success, achievement, ambition, motivation and teamwork. Businessmen and their customer are negotiating a trade agreement. Patented Patent Copyright Law Business technology concept. Simple Set of Business Management Related Vector Line Icons. 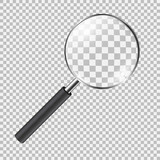 Contains such Icons as Inspector, Personal Quality, Employee Management and more. Editable Stroke. 48x48 Pixel Perfect. Businessman holding pen and pointing paper chart summary analyzing annual business report with using laptop at room office desk. Pen lying on a contract or application form, wide angle view. Financier Works on a Personal Computer Showing Statistics, Graphs and Charts. In the Background His Coworker and Creative Office. Mature businessman at hotel reception. Hand holding jigsaw puzzles, Business partnership concept. Business people talking at group meeting. Executive senior businessman portrait. Middle aged financial director business man wearing suit and looking at camera while standing at dark background. Man with financial chart. Growth concept. Audience Listens to Lecturer at a Conference Meeting Seminar Training. Group of People Hear Presenter Give Speech . Corporate Manager Speaker Gives Business Technology and Economic Forecast. Information and technology mesh polygon futuristic background. 3D illustration. Business or career decision vector concept. Businesswoman standing at crossroads. Symbol of challenge, choice, change, new opportunity. Group of paper plane in one direction and with one individual pointing in the different way. Business concept for new ideas creativity and innovative solution. Two businessmen are discussing or negotiating business channels. Business and manufacturing process Automation, smart industry, innovation and modern technology concept. business woman with her staff, people group in background at modern bright office indoors. Drawings and charts of successful business. Client signing a real estate contract on desk in office. 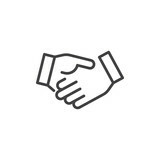 Business partnership handshake concept.Photo two coworkers handshaking process.Successful deal after great meeting.Horizontal, blurred background.Wide. Double exposure people network structure. HR - Human resources management and recruitment concept. 3d illustration. Businessman Billy with yellow bulb. Innovation and inspiration concept. Teamwork. Business meeting of partners in cafe. Complex internet web data polygon background. 3D illustration. Diagrams and graphs on virtual screen. Business strategy, data analysis technology and financial growth concept. Simple Set of Team Work Related Vector Line Icons. Contains such Icons as Collaboration, Research, Meeting and more. Editable Stroke. 48x48 Pixel Perfect. Business person analyzing financial statistics displayed on the tablet screen. Shot of Corridor in Working Data Center Full of Rack Servers and Supercomputers with Cloud Storage Advantages Icon Visualisation. business having an informal meeting. Portrait of a handsome business leader. Business team and work process steps from idea to target. Business workflow, business process efficiency, working activity pattern concept. Website vibrant violet landing web page template. Young African constructor sharing new ideas about project to his partners in office working room. Multiethnic coworkers discussing over new business project in modern loft interior. Team of Computer Engineers Lean on the Desk and Choose Printed Circuit Boards to Work with, Computer Shows Programming in Progress. In The Background Technologically Advanced Scientific Center. 24 7 service, business time schedule, extended working hours and any time available service. 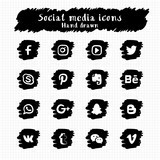 Vector banner template for social media with text copy space and infographic concept illustration. Technician manager, Industrial engineer controlling roboticts on monitoring system software and icon industry network connection on tablet. AI Automation robot arm machine in smart factory. Cost reduction business finance concept on virtual screen. Coworkers working process at home.Young blonde woman working together with bearded colleague man at modern home office.People making conversation together.Blurred background.Horizontal. Female Developer and Male Statistician Use Interactive Whiteboard Presentation Touchscreen to Look at Charts, Graphs and Growth Statistics. They Work in the Stylish Creative Office. Business team having a break. Retro style image of a businessman with clasped hands planning strategy with chess figures on an old wooden table. Concept of digital diagram,graph interfaces,virtual screen,connections icon on blurred background.Coworking team at business meeting.Group of colleagues working with startup project in modern office. Close-up image of smiling businessman using cellphone in the meeting room. International business isometric 3D banner header. Business team working together. Businessman using tablet for analyzing data stock market in monitoring room with team pointing on the data presented in the chart, financial investment concept. Business team brainstorm, lightbulb and rocket. Vision statement, business and company mission, business planning concept on ultraviolet background. Header or footer banner template with copy space. Finance and business concept. Investment graph and rows growth of coins on table, blue color tone. Business and entrepreneurship symposium. Speaker giving a talk at business meeting. Audience in the conference hall. Rear view of unrecognized participant in audience. .Businessman using tablet analyzing sales data and economic growth graph chart. Business strategy. Abstract icon. Stock market. Digital marketing. Businessman touching tablet and laptop. Managng global structure networking and data exchanges customer connection on workplace. Business technology and digital marketing network concept. Group of business people in the meeting room. Silhouette of engineer and construction team working at site over blurred background sunset pastel for industry background with Light fair. New smartphone XS with blank screen isolated on white background. Flat lay, top view. The collage of faces of surprised people on white studio backgrounds. Human emotions, facial expression concept. Collage of astonished men and women. 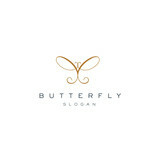 Modern presentation card with company logo. 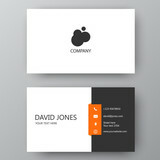 Vector business card template. Visiting card for business and personal use. Vector illustration design. Close up lawyer businessman working or reading lawbook in office workplace for consultant lawyer concept. Paper cut design concept for flyers, presentations and posters. Vector abstract carving art. White and blue 3D layered vertical banners. Businessman using tablet computer at work. Business Training. People Meeting In Office. 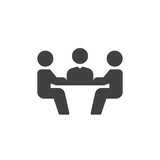 Set of business vector line icons. It contains symbols of a handshake, a user, dollar pictograms, gears, a briefcase, a bag of money, a schedule and much more. Editable move. 32x32 pixels. Business man sign a contract investment professional document agreement. Smiling customer support operator with hands-free headset working in the office. Business women holding light bulbs, ideas of new ideas with innovative technology and creativity. A business man selection a button on a futuristic display with a Expand concept written on it. You can make purchases. Beautiful young woman in casual clothes joyfully holding in her hand a lot of dollars on a gray background isolated. The concept of money and banking. Teamwork success. Flat design business people concept. 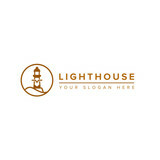 Vector illustration concept for web banner, business presentation, advertising material. professional architect designer structural engineer team colleagues working office looking computer discussing building plan design project. 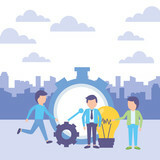 Business startup website banner. Modern infographic illustration in linear style. Smart phone with blank screen isolated on transparent background. Empty wooden deck table over mint wallpaper background. Team meeting. Discussing new project. Business ethics thin line icons set: connection, union, trust, honesty, responsibility, justice, commitment, no to racism, recruitment service, teamwork, gender employment. Modern vector illustration. Downtown Atlanta Skyline showing several prominent buildings and hotels under a blue sky. Elements for infographics on a white background. Presentation templates. 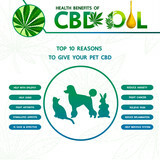 Use in presentation, flyer and leaflet, corporate report, marketing, advertising, annual report, banner. A group of young people holds brainstorming in the office. Executive senior businessman using his mobile phone and talking wih somebody while working laptop in the office. Truck with container on road, cargo transportation concept. A hand selecting a Decision Making business concept on a futuristic computer display. Marketing business concept on the virtual screen. Double exposure mixed media. Diagrams and icons on hologram screen. Business people and modern city on background. Business ambition and motivation vector concept with businesswoman drawing superhero on wall. Symbol of confidence, career growth, power, strength, feminism and emancipation. Young creative managers team working with new startup project in modern office. Close up of woman hands making frame gesture with sunrise on moutain, Female capturing the sunrise, Future planning, sunlight outdoor. Trendy minimal abstract business card template. Modern corporate stationery id layout with geometric pattern. 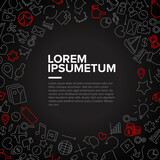 Vector fashion background design with information sample name text. Web design. Flat design concept for website and app design and development. Vector illustration concept for web banner, business presentation, advertising material.